Medical Intuitive Energy Healing Sessions are done from a distance over the phone, via Skype, FaceTime, WhatsApp, email, or in person at my office. These sessions are offered worldwide. During the session, I perform healing for all issues that I see and those for which you have requested healing. I discuss all of my findings and what I am working on during the session if it is live via Skype, phone or in person. For those requesting distance sessions via email only, I will provide feedback via email. 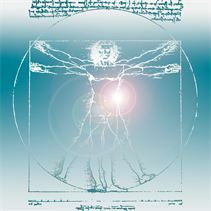 Medical Intuitive Energy Healing sessions are always done using my own unique energy healing modality called Emergence Energetics. Energy Healing sessions are the same as Medical Intuitive Healing Sessions; there is no difference. This page is just describing in detail what is involved in a session. I receive intuitive information on spiritual, emotional, physical, mental and energetic levels. I can pick up emotions that are stored in your body and where they are stored. I can receive intuitive information about the emotional causes for your physical symptoms. I communicate with your Higher Self/Soul/Oversoul to provide you with messages. Accelerated healing, which can temporarily increase pain, or the severity of the issue. Also known as a "healing crisis". This is always good news as it is a sign that you are healing. This generally does not last long and improvement is seen quickly. Fatigue after the session. Give yourself time to rest if you need it. The healing of the body can make you feel tired and some people may need to rest for a couple of days depending on their health issues. Aromatherapy and Sound Healing (in person) may be included in your session at no additional charge. Many people ask me if I studied to become a medical intuitive. The answer is both yes and no. In graduate school, I studied the biological sciences, biochemistry, anatomy and physiology, nutrition, etc., which help me tremendously with this work, but I did not study to become a medical intuitive. That is a gift that I was born with. I did not discover this gift until around 2001 and at that time I felt that I should probably study with one of the well-known medical intuitives. Time passed and I never did. Eventually, something inside me just pushed me to start doing it and I am really amazed and humbled by the results, which much of the time seem to be miraculous. *Disclaimer: I am not a doctor and I don't diagnose, or prescribe anything. These sessions do not replace medical advice or attention. Please see your doctor if your problem persists.